SM 3/c Robert L. Lawson, son of Mr. and Mrs. Marvin Lawson, graduated from Victory High School. 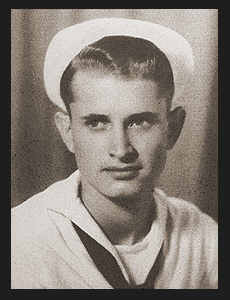 Entered Navy in July, 1943, trained in San Diego, Cal. ; served in Pearl Harbor, the Marshalls, the Gilberts, New Ireland, Palau, Guam, the Philippines, Okinawa and Japan, was wounded in action in the Philippines in Jan., 1945. Awarded Asiatic Pacific Ribbon with nine Battle Stars, Philippine Lib. Ribbon, Unit Commendation Ribbon.